PHILADELPHIA (WPVI) -- Philadelphia will once again be the site of history. Professional wrestling history will be made next month in the City of Brotherly Love when the WWE brings the Royal Rumble pay per view event to the Wells Fargo Center. Since 1988, the WWE has held the event which features the Royal Rumble match. The match consists of 30 wrestlers (it's been 20 and 40 at times) entering the ring approximately every two minutes at a time and trying to throw the other competitors over the top rope. The last one standing in the ring wins the match and a championship opportunity at the biggest show of the year - WrestleMania. In every Royal Rumble match since its inception, the participants have strictly been male, with a few exceptions. But now, the WWE has announced that the first-ever women's Royal Rumble match will take place in Philly. Celebrity host and WWE fan Maria Menounos reacted to the news on Twitter, "I'm so excited to see this! Let's hear it for the ladies!" In the past few years, WWE has been spotlighting their female wrestlers, known as Superstars, in more ways and placing a bigger emphasis on the women's division. Recently, female competitors have main-evented a pay per view event for the first time. And earlier this month, superstars Sasha Banks and Alexa Bliss took part in the first-ever women's match in the Middle East. The women's Royal Rumble match, as well as the men's, will take place on Sunday, January 28 in South Philadelphia. The Royal Rumble will be part of a WWE weekend in Philly, which will also see NXT Takeover: Philadelphia on Saturday, WWE Raw on Monday, and WWE Smackdown Live on Tuesday. All events will be at the Wells Fargo Center. 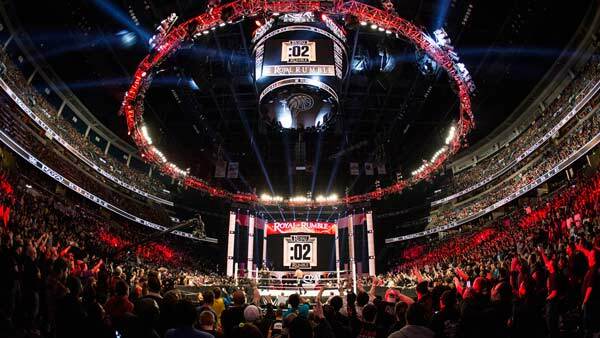 The Royal Rumble pay per view has been held in Philadelphia twice before, in 2004 and 2015.